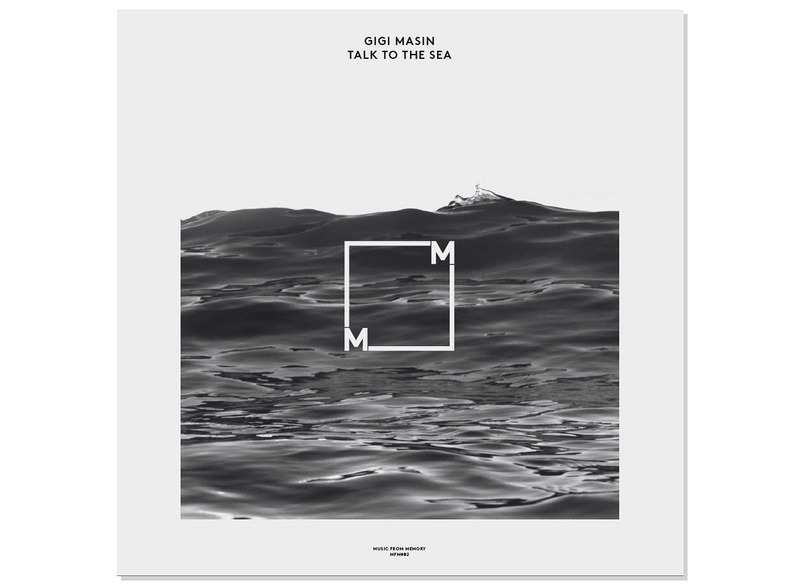 “Snake Theory”—the opener on Talk to the Sea, the wonderful new collection of songs from Gigi Masin—is soft and lush, like an attempt at sweet seduction, or maybe surrender? The sounds of synths mesh with crystal clear piano and a voice that carries hints of The Blue Nile’s Scottish soul, David Sylvian’s avant-pop, or the hurting of electro-indie poster boy James Blake. It’s one of many signs that this is not a typical artist. This guy is so cool, he’s unconcerned with the reception of his recordings. But what’s even more interesting is that you never hear anything like it again until “Call Me,” one of the last songs on the album, and one of only 3 out of 17 with vocals. Like the ebb and flow of the tide rolling in and out on a calm, sunny day, the music unwinds. This feeling is repeated throughout Talk to the Sea: when a slow-motion mood is evolving, nothing is fast. We’d been getting together and listening to records, sharing music with each other and our friends for a long time. I guess you could say we’d all been on a bit of a musical journey. Primarily an ambient record, collected from releases that cover the span of 25 years (1985-2010), Talk to the Sea does not sound like an anthology. The songs move quietly, succinctly, from one to another without even a hint of compilation fatigue. It feels more like a concept album about the ocean and all its splendor: waves, shores, blue, grey, wind, horizon, melancholy, inspiration, solitude, surface and depth. Sure, there are many references here, from Brian Eno’s work with Robert Fripp and Harold Budd to Aphex Twin’s Selected Ambient Works Volume II, but the music feels new and fresh, with tiny clues about its influences. You sense a secret Gigi Masin society is building from the spirit of record labels like Windham Hill and F Communications: two very different approaches to making music, but very similar in sound and atmosphere. Windham Hill was home to many talented artists that suffered credibility hits by being tagged “new age” in the 1980s. But if you go back to early records by Liz Story, Robbie Basho, Marc Isham, and even the solo piano recordings of George Winston, you notice a pattern of relaxed expression in the playing and a sense of tranquility in the results—ambient music at its best. F Communications, though a French dance label at its core, released some breathtaking ambient records in the 1990s by A Reminiscent Drive, Nova Nova, Scan X, and many others, culminating in an influential compilation called Musiques Pour Les Plantes Vertes that redefined ambient music for the dance club culture of the ’90s. It’s possible that Gigi Masin was influenced by some of these artists; it’s also possible that he’s never heard of any of them, and that’s what makes Talk to the Sea so special. Born in Venice, Italy in the mid-1950s, Masin has been a radio DJ, poet, musician, and writer, working in theater, television, and other art-related circles. He’s been releasing solo albums since 1986, and some of his recordings came out on Sub Rosa, an influential experimental/electronic label out of Belgium that had its heyday in the 1990s. But he’s been on the periphery of music culture for a long time. 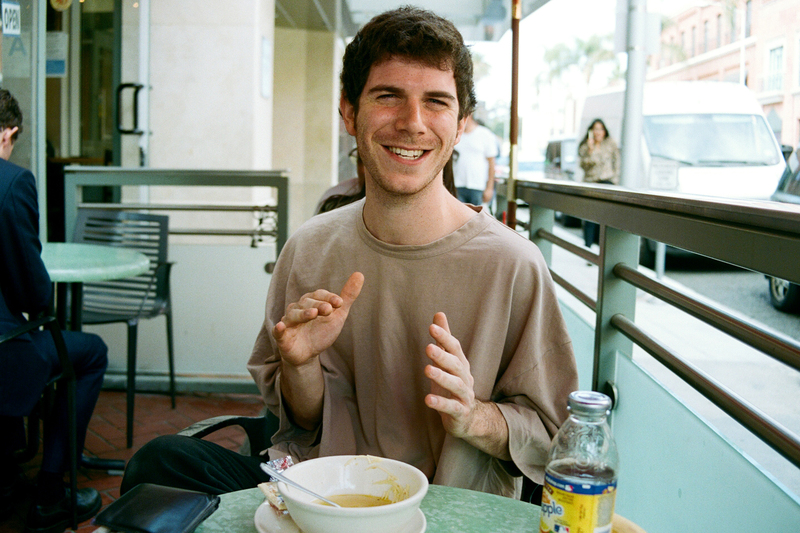 Masin’s influence has been important but quiet, with hints of his influence on a select few: Bjork sampled one of his songs, and German post rock group To Rococo Rot covered his music. Attention has been put to influential, overlooked or underrated artists for some time now (think Nick Drake, Arthur Russell, Judee Sill, Giorgio Moroder, Rodriguez, and many more) but it’s usually artists that have died, or whose older material comes back into favor via trends. The Dutch label Music From Memory not only compiled a great selection of songs, but the record design is simple and beautiful, with a black and white matte finish in a gatefold sleeve. Nice to see a record label paying so much attention to detail with an artist that is still growing and producing new music. We exchanged emails with Jamie Tiller, one of the label founders about Gigi Masin and the concept behind the label. Tell us about your label and the philosophy behind it? The label started quite organically actually. There was no great plan behind it. Though it did feel like a very natural thing to do when it happened; to share some of the music we had discovered over the years and to be able to spotlight the music of those that we loved and who had largely remained unnoticed. I’ve known Abel Nagengast and Tako Reyenga (both from the Red Light Records store in Amsterdam) who I run the label with for about 7 years. We’d been getting together and listening to records, sharing music with each other and our friends for a long time. I guess you could say we’d all been on a bit of a musical journey. How did you discover Gigi Masin? I discovered Gigi Masin through his album Wind while researching Italian ambient and electronic music. Discovering records such as Raul Lovisoni and Francesco Messina’s unknown Prati Bagnati Del Monte Analogo you start to get thirsty to know what other amazing Italian ambient electronics is out there! I found the Gigi Masin track “Call Me” on YouTube late one night and was obviously completely blown away and must have listened to that track 20 times in a row. And then woke up the next morning and did the same thing! I had no idea it was rare, though, as there was a copy of Wind for sale on a record marketplace for €12. When I got it the whole record just blew me away. I found another copy for Tako on an Italian website for about the same price and we noticed the seller also was selling another LP of his called Wind Collector so Tako took a guess on it. It was equally mind blowing of course. I’d been in contact with Gigi when I first found the record just to say thank you and we started to talk about other music he had made. He sent us some 80 tracks or so that he’d recorded over the years from the early 80’s up until recently and I have to say each and every one was just beautiful in it’s own way. It took us literally months to make sense of it all and to somehow put together a compilation that would do all this music justice. Was he involved in the selection of tracks? The selection was ours. Of course we asked if he agreed but he gave us his complete trust, which was a great honor. Most of the tracks are instrumental, and ambient, how did you determine the flow and balance of the two? By listening again and again, and again. We tried with this compilation and all our compilations to make musical connections, emotional connections rather than a simple chronology or anything like that. It has to make sense and be meaningful to us and then we hope it will make sense and be meaningful for the listener. Is Gigi Masin currently recording and releasing music? Yes Gigi is always recording! 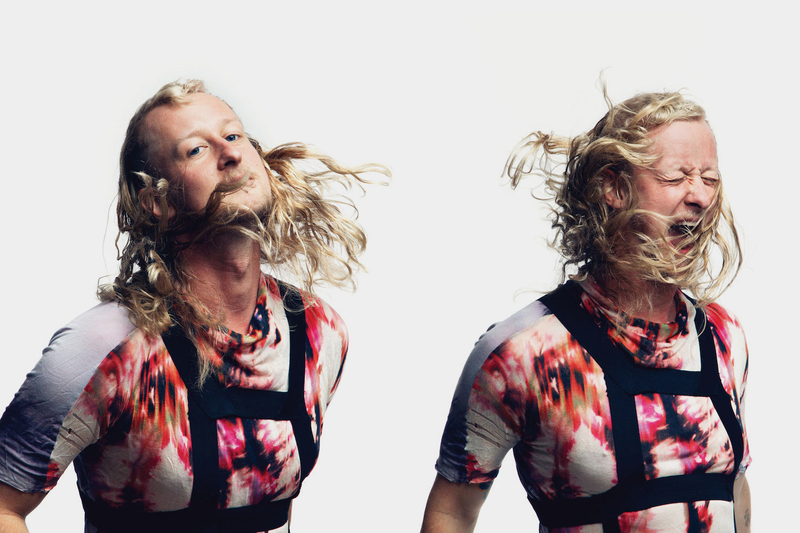 He has been making music predominantly alone now for a long time but since the release of the compilation he has collaborated with a number of contemporary artists this year such as Maxmillion Dunbar, Sven Weiseman and Templehof.